The Ten Taypo Trail starts with some amazing redwood-lined canyon, climbing to a ridge just off Drury Parkway. This trail provides nature lovers with excellent and most dramatic redwood lowlands as well as many ordinary uplands, making the unusual environment an interesting hike. The Ten Taypo Trail loop is described in the counter-clockwise direction. hence hiking the loop at this directon makes it more difficult and steeper climb. The hike from this side would certainly offer a secnic hike for the nature lovers. 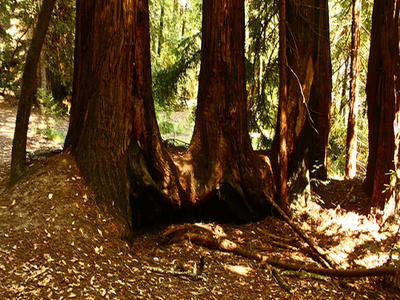 Here's the our members favorite photos of "Trails in Redwood National & State Parks". Upload your photo of Ten Taypo Trail!